USC Warriors Malcolm Joe Tan tries to drive to the basket in their game against the USPF Panthers. 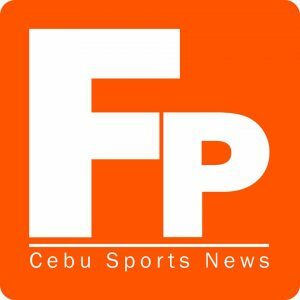 The University of San Carlos (USC) Warriors slaughtered the University of Southern Philippines (USPF) Panthers, 86-57, to go 2-0 and become the early leader in the Cebu Schools Athletic Foundation, Inc. (CESAFI) Men’s Basketball, Thursday, August 10, at the New Cebu Coliseum. In the High School division, the University of San Jose Recoletos (USJR) Baby Jaguars opened their bid with a lopsided win over the Cebu Eastern College (CEC) Dragons, 96-66. Joshua Magic Marata and John Reel Saycon led the Warriors with 12 points each while Kevin Oleodo and Victor Rabat contributed 9 points apiece. The Panthers’ losing cause was led by Edwin Villarta who cashed in 13 points. Lyndon Colina added 8 points while teammates John Allain Alocillo and Roy Quiachon finished with 7 points each. Written off as a potential winning team for not having an import, the Warriors showed that they do not need one as they made the Panthers suffer their first loss of the season. The Panthers’ import, Nigerian Rich Managor, was a non-factor in the game as he contributed only a point. Despite already having the advantage, the Warriors never let up and even led by as much 34 points, 68-34, on a basket by Bryan Divinagracia just a few minutes going into the fourth quarter. The only time that the Panthers got near the Warriors was in the second quarter when Rodelio Cauba Jr. managed to cut the Warriors’ lead to 5 points, 22-27. The Warriors had a better shooting percentage than the Panthers and also had a total of 23 assists as compared to the Panthers only 10. Mike Patalinghug added to the Panthers’ woes when he got thrown out of the ballgame for an unsportsmanlike foul. In the High School contest, the USJR Baby Jaguars also had a field day against the CEC Dragons with John Kirk Gonzaga exploding with 22 points. The other topscorers for the Baby Jaguars were Elmer Echavez who had 18 points and Johndel Robles with 10 points. The Dragons was led by James Tempra who managed 16 points despite being only made to play in the second half. Vhann Joshua Baruc contributed 15 points while Eds Daniel Vallena added 9 points. USC Warriors (86) – Marata 12, Saycon 12, Oleodo 9, Rabat 9, Araw-Araw 6, Cadavis 6, Labiste 6, Mangubat 6, Ecarma 5, Tan 5, Divinagracia 4, Cabañog 3, Aranas 2, Oguis 1. USPF Panthers (57) – Villarta 13, Colina 8, Alocillo 7, Quiachon 7, Batac 6, Patalinghug 6, Cuyos 3, Avancena 2, Cada 2, Cauba 2, Managor 1. USJR Baby Jaguars (96) – Gonzaga 22, Echavez 18, Robles 10, Leonora 8, Abarquez 6, Ando 6, Monte De Ramos 6, Ranara 6, Teleron 4, Guibao 3, Puntual 3. CEC Dragons (66) – Tempra 16, Baruc 15, Vallena 9, Galarse 8, Gabutero 6, Tiu 6, Gaid 3, Ozon 2, Labalan 1.